Syllabus of the Online Course (Subject): Free Trade Agreement (FTA) between Colombia, Peru, and the European Union. Colombia, Peru, and the European Union (EU), finished negotiations on a trade agreement in 2010. 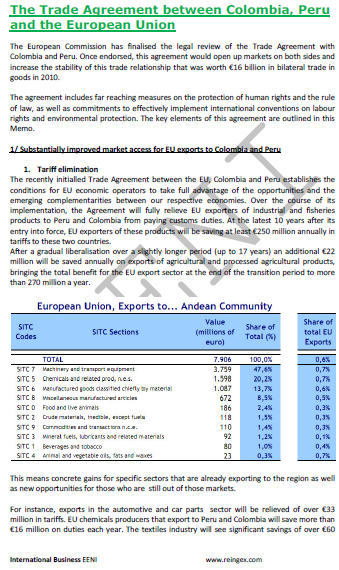 Foreign Trade European Union (EU)-Andean Countries. The Andean Countries and the European Union belongs to Western Christian Civilisation (Latin American-European).